Greg Churney is a patent engineer in the Intellectual Property Practice Group, where he assists IP clients in the preparation and prosecution of domestic and foreign patent applications and patent searches. Greg is a graduate of the University of Wisconsin - Madison with a degree in mechanical engineering. 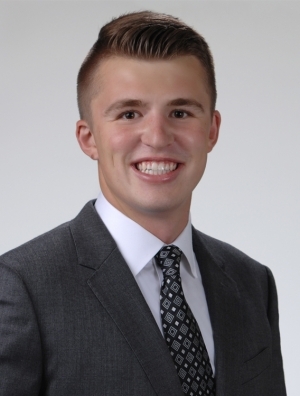 Besides working with mechanical systems, Greg also worked with polymers and polymer processing while at the University of Wisconsin - Madison. Through an internship with a leading automobile manufacturer in the die engineering division, Greg utilized DOE methodology to develop various B-pillar designs, assessed surface quality using simulation software and assisted in publishing an updated Process Driven Product Design (PDPD) standard. Two other internships provided practical hands on experience in HVAC systems and safety risk assessment for manufacturing operations. Greg's interests outside the office include golfing and cheering on the Badgers and Steelers.